Using database management system we can store and retrieve data efficiently and whenever we require. There are two main types of database management systems i.e. RDBMS relies on storage of data in a tabular form. RDBMS defines its own integrity constraint to fulfil ACID (Atomocity, Consistency, Isolation and Durability) properties. RDBMS stores data values in the form of tables along with relationship between two data values from different tables. RDBMS is based on the relational model as introduced by E. F. Codd. RDBMS data is stored in database objects called tables. 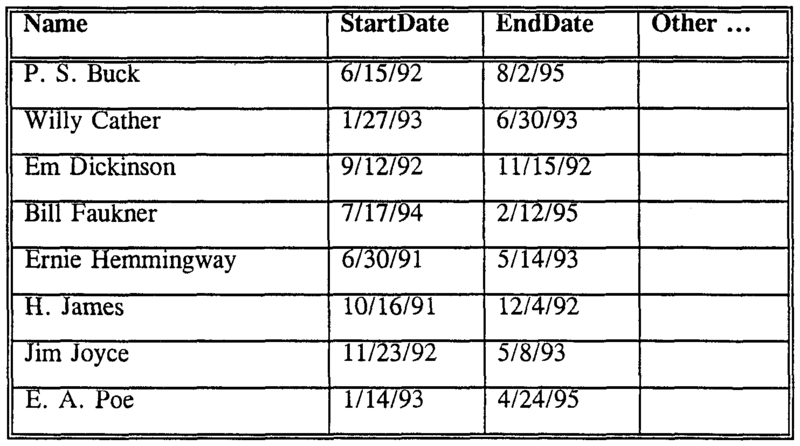 Table is a collection of related data entries and it consists of columns and rows. Tables generally stores only structured data. In order to remove the all items from the dictionary we use clear(). Method does not return any value. 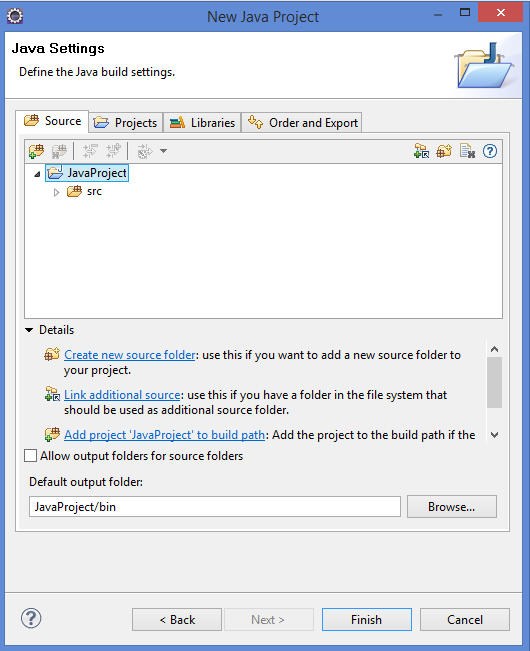 Python Assignment operator is used for assigning the value of right operand to the left operand. 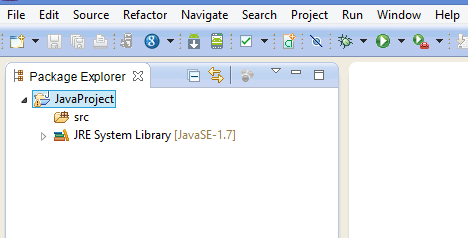 **= Perform exponential calculation of two operands and then assign result to left operand. In these kind of compound assignment operators we are also performing indirect python arithmetic operations. In the Python floor division, when a number is divided by another number then digits after the decimal point of result will be removed. We never write such kind of statement because it is not required at all while writing code in C but still syntactically no cases in switch case is allowed. 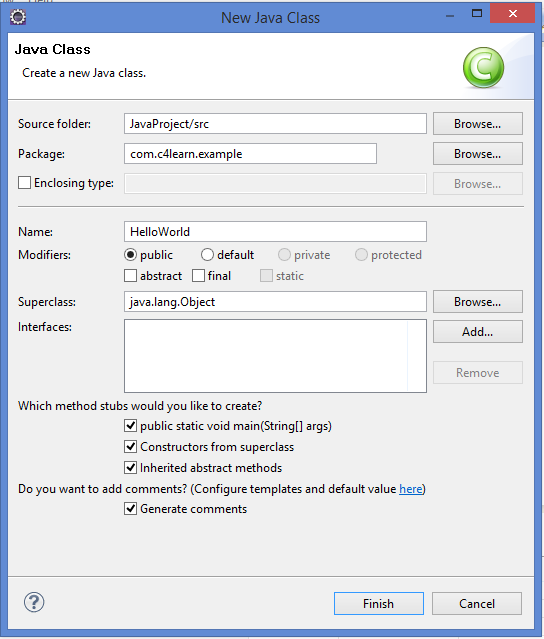 Comments If you want to generate the default comment then select the check box. 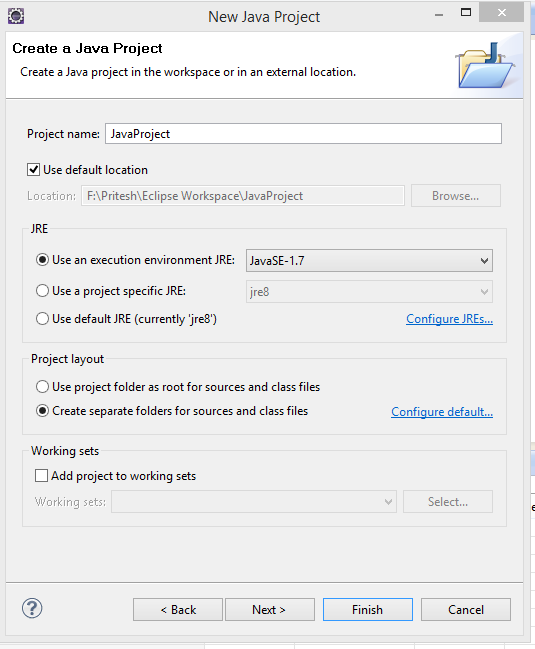 In this tutorial we will be learning how to create a sample Java project in the Eclipse IDE. 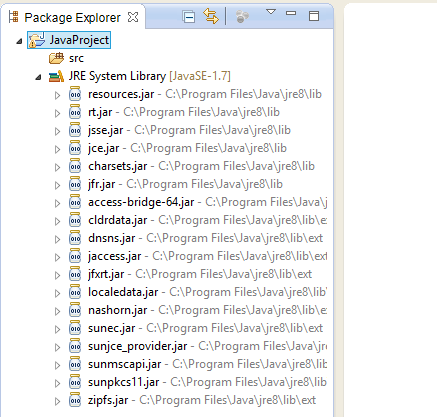 Now when we select Java Project as option then we below window gets opened. 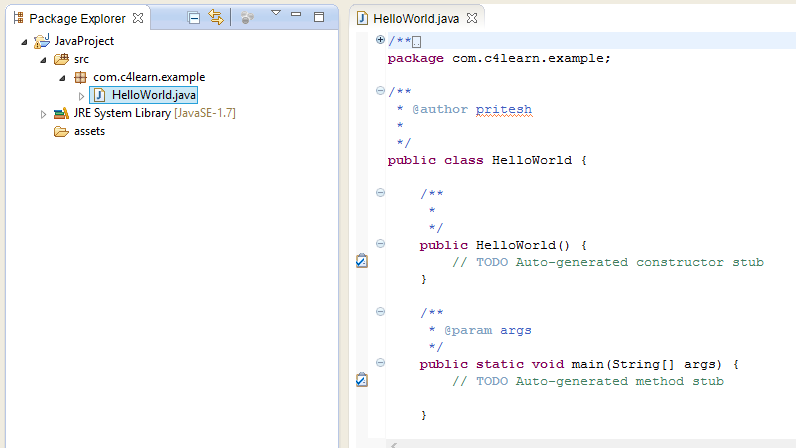 Give proper name to your Java Project. 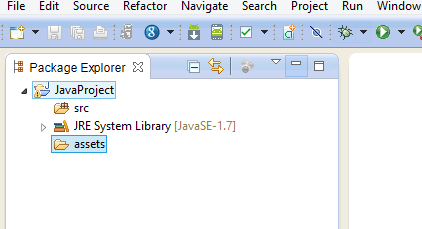 Project name should not contain space. 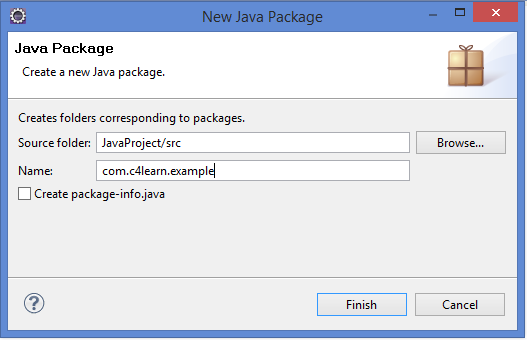 It would then prompt user with message saying that your project will be opened in the Java Perspective. 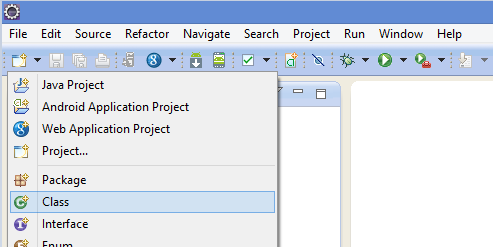 After clicking on the finish button your project will be created in the Workspace. You can see all the resources are arranged in the tree or hierarchical fashion. 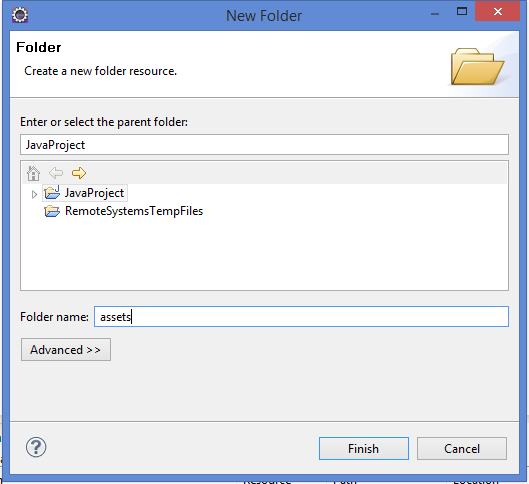 Now you will be able to see the folder created inside the workspace.